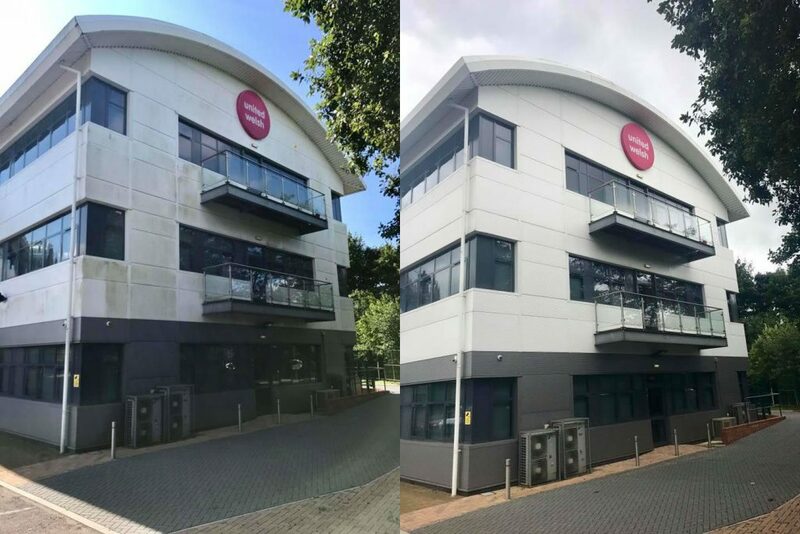 Designed to tackle dirty and unloved external hard surfaces that have seen better days, softwashing is a low pressure cleaning solution that can be used to clean a whole host of commercial and residential buildings. Ideal for tackling stubborn dirt on everything from roof tiles, concrete, sports surfaces and pebble-dash right through to decking, cladding and K-rend, softwashing is now recognised as one of the most effective cleaning solutions for removing algae, moss, discolouration stains and lichen. After all, it’s not unusual for buildings of all shapes and sizes to succumb to everyday wear and tear, especially as changes in the UK climate has resulted in the winter months not only becoming warmer, but also wetter, which has caused external surfaces to form algae and moss. What are the benefits of Softwashing? Curb appeal is everything when it comes to increasing the value of your home, and a tired looking property that is discoloured, or covered in algae and moss can instantly put potential buyers off. Restoring your home to its former glory will also do wonders for its value! The formation of bacteria, algae and moss on the exterior of your home can instantly degrade the appearance of any property. But that’s not all… there has been a significant amount of research that has also proven that this can also decrease the life span of your home by as much as 50%. With this in mind, it’s definitely worthwhile investing in Soft washing to not only improve the aesthetic appeal of the outside of your property, but to also preserves its lifespan. As homeowners we should all be doing our bit to improve our carbon footprint, right? And did you know that a dirty or stained roof could actually be having a huge impact on your energy bill, as well as your carbon footprint? This is because a dark stained roof attracts significantly more sunlight than a roof that is maintained and causes excess heat to form. This can have a big impact on your cooling costs and energy bills, especially during the summer months. Above all, taking care of your property should always be a top priority, especially if you are thinking of selling your property in the near future. After all, first impressions count in the property market! 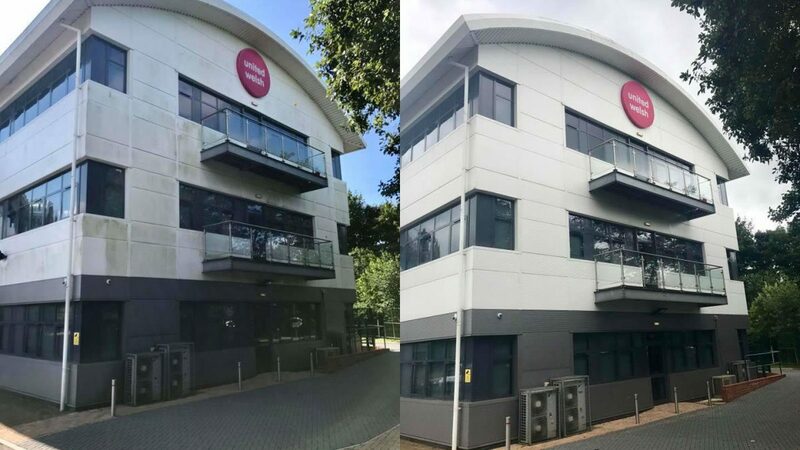 Here at Supreme Softwash, we are one of the UK’s leading render and building cleaning specialists and are experts when it comes to cleaning a vast range of retail, commercial, medical and educational sites throughout South and West Wales, and beyond. Armed with over 30 years industry experience, we tailor all of our cleaning solutions to meet the bespoke needs of our clients, ensuring that your individual cleaning requirements are met from the moment you get in touch. Get in touch today to find out more about our super wash services!